We hope to see you at one of our two locations, so we can help you choose one of our landscaping supply options! 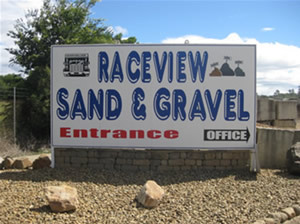 Raceview Sand & Gravel has a massive range of products to choose from. Check out our product page to view our full range, or visit either location (listed below), to have a look-see at our entire range on display. Simply, we have a quality range, expert advice, and competitive rates, so drop in and say gidday when you have the time. You can buy in bulk from either location, or pick up as little as a 10 litre bucket of product. We'll also load your trailer, ute, or truck for you. And better yet, there is no surcharge for quantities loaded under 1 cubic metre. Buying bulk landscaping supplies has never been easier! We deliver landscaping supplies to all areas – Charges Apply! We’d love to help you with your next landscaping project. Contact us for more information. Landscape suppliers in Ipswich and Boonah with over 30 years experience!